I know everybody here in the Philippines is using FACEBOOK. 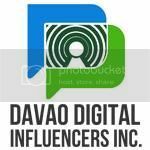 But for us as bloggers we usually use Google+ for our site traffic and social shares. Last month Google launched a new version of the social network user interface. 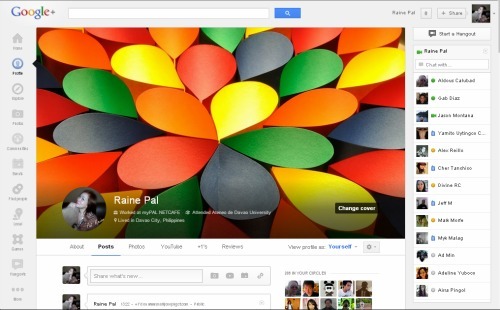 I was amazed with the new look of Google Plus. It has a large scale for your TIMELINE COVER. And another thing that I like about the changes is that they make your photo profile from standard square size with a circular one. Fashionably cool to the eyes not a common size as what other social networking are using. FACEBOOK is also making its change to compete with the GOOGLE PLUS interface but they receive lots of criticisms from their users. Well I guess these two major social media are very important to us as BLOGGERS. We often use these for our social sharing and at the same time to get traffic. Many users from GOOGLE PLUS reported to upgrade the new version and I am one of them. Very impressed with the new version Google Plus have now. If you haven't been using Google+, this is the time to have an account with them. Better CHECK IT NOW! Hello sis Thanks for dropping by my site. Yes,you should try to have a google plus account. Great for us as bloggers.